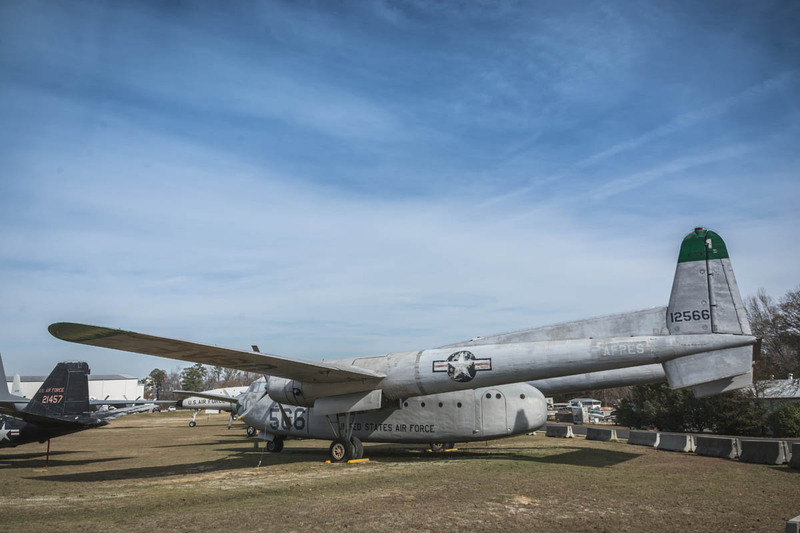 The C-119 was designed to carry cargo, personnel, litter patients, and mechanized equipment, and to drop cargo and troops by parachute. 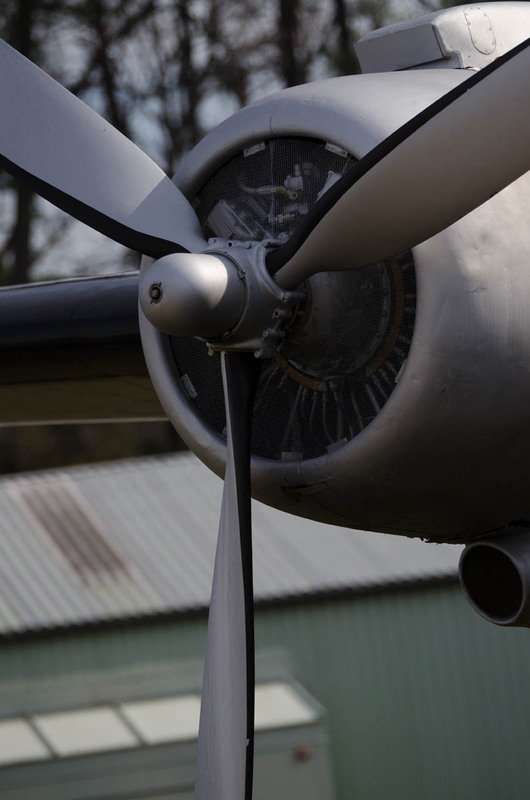 The first C-119 made its initial flight in November 1947, and by the time production ceased in 1955, more than 1,100 C-119s had been built. 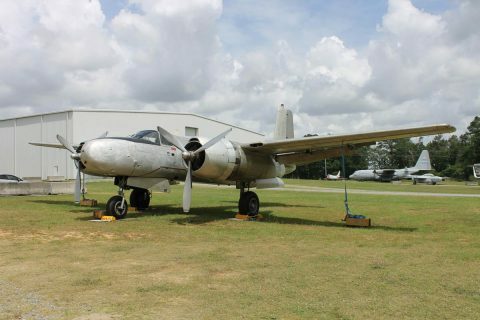 The USAF used the airplane extensively during the Korean War, and many more were supplied to the U.S. Navy and Marine Corps and to the air forces of Canada, Belgium, Italy and India. 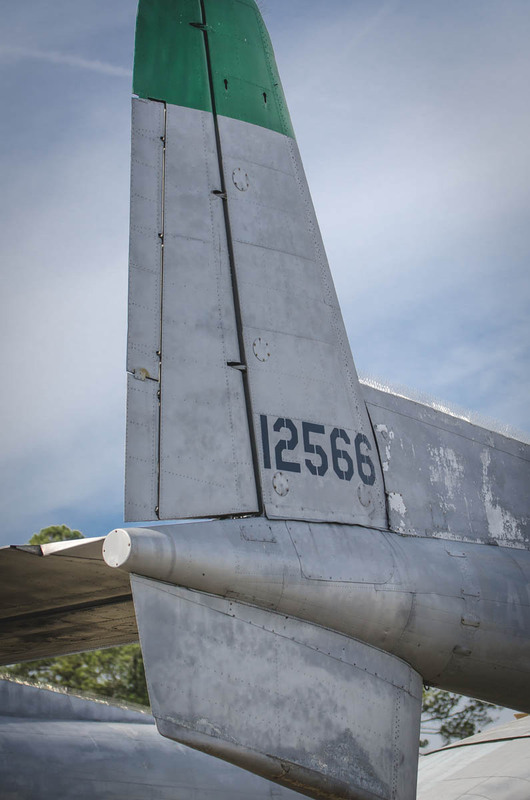 In Vietnam, the airplane once again entered combat, this time in a ground support role as the AC-119 “gunships,” mounting side-firing weapons capable of firing up to 6,000 rounds per minute per gun. 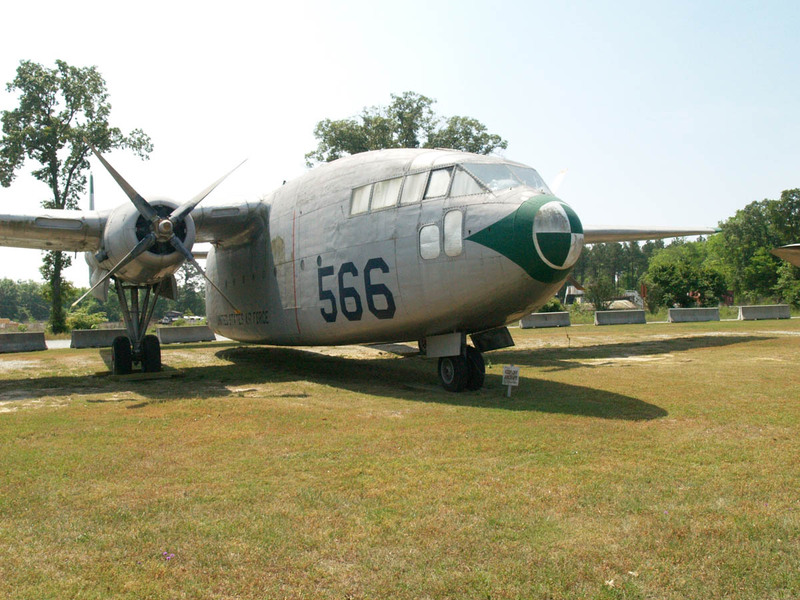 Warner Robins Air Logistics Center assumed logistics responsibility for all USAF C-119s until their retirement in the 1970s. 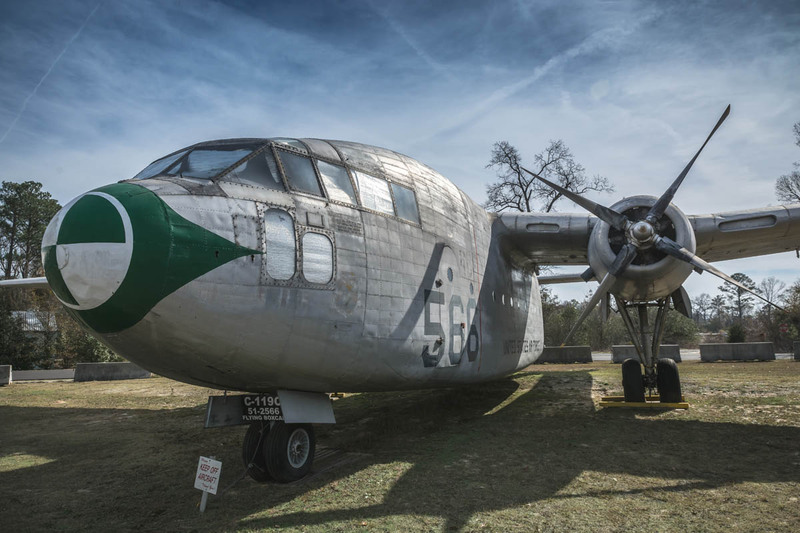 The C-119C on display was delivered to the USAF in October 1951. 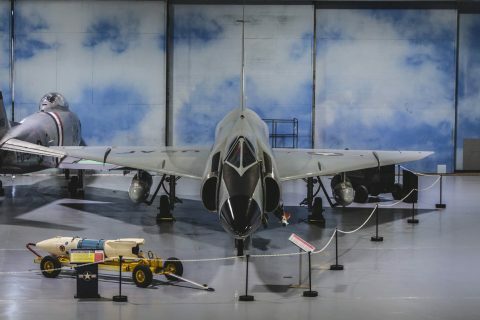 It served with various units worldwide including the Air Force Reserve, it retired in 1966 and was transferred to the Museum in 1986. Span: 109 ft. 4 in. Length: 86 ft. 6 in. 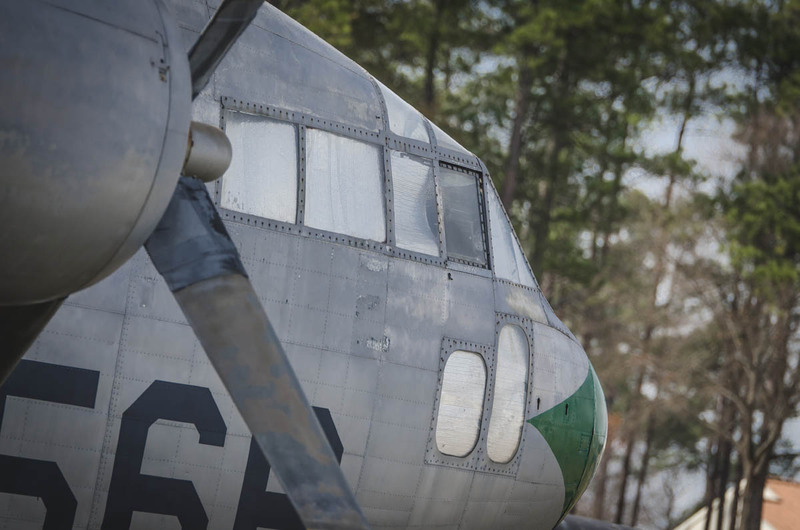 Height: 26 ft. 8 in. 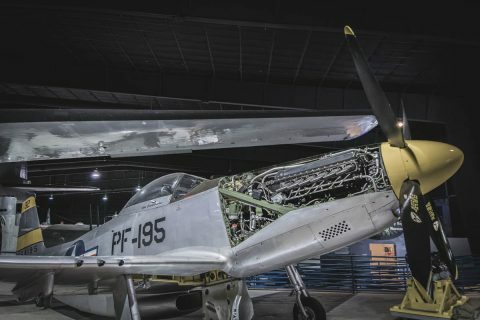 Engines: Two Wright R-4360s of 3,500 hp. ea.